The concept of humanity being off-planet in secret space programs may seem impossible for many to believe. However, as new information continues to come to light, the scope of how much we have been lied to becomes ever-increasingly apparent. We are already living in a Star Trek society, and we are in the thick of creating a tide of change. We are not only demanding the full disclosure of suppressed technologies, but we are also actively creating the disclosure ourselves as a community. Some time has passed since my last detailed update. It seemed that there was never a break ‘in action’ that would allow me to process my experiences, let alone write them all down. I had gone through a very active period of experiences and visitations with the Earth Alliance, SSP Alliance, Anshar, Gonzales and his Mayan friends. I had witnessed the Blue Avians greet a new group of Guardians in a dramatic meeting that included human-like representatives from 52 of the inhabited systems in our local solar cluster. I was also beginning to have access to more and more extremely coveted briefings within the Earth Alliance and was trusted with information of a much higher detail than ever before. Shortly after the exciting meetings between the old and new Guardians, my experiences came to a sudden halt. Other than in dreams, I was no longer having encounters with Raw-Tear-Eir or the Anshar. The weekly visits by Gonzales and the Mayans suddenly ended without explanation. I went into sort of a state of withdrawal after these experiences ended so suddenly. Having these experiences stop ‘cold turkey’ affected my vibration and psyche in what has become an all too familiar way. The energies my body has learned to integrate has since caused changes in my physiology. There are releases of endorphins that accompany these contact experiences, and therefore when they cease cold turkey, my body has to adjust back to lower frequencies. This is not only physically draining, but psychologically and spiritually taxing. I began to focus inwardly as well as take a little time to try to get into shape. After my shoulder and forearm surgeries a few years ago, I did not receive proper physical therapy. Recently, I was given a mild steroid in order to enhance the physical therapy I was doing on my own. This helped the atrophy tremendously but it caused me to be frazzled and short tempered. I did not make the connection about this link and first attributed the symptoms to stress. My vibration lowered to the point where the Anshar could no longer reach me for a period of time. Two of our closest friends who live in Maui invited us to come stay with them for a few weeks while the kids spent some of the summer with family in Texas. I needed a sabbatical so badly that we accepted their offer without hesitation. This wasn’t like the crisp and emotionally rich communications we normally had. It was more like someone screaming at you from the next room while you are blasting loud music through your headphones. I immediately realized that she was telling me to stop taking the steroid and did so that morning. A few weeks after I had stopped taking the steroid and my mind started to clear, I was suddenly transported down to a familiar room in the Anshar’s temple complex. I found myself on the same slab table I had been on prior when Aree had removed entity attachments. I looked down and saw Aree and her sister Aryn standing down by my lower abdomen. They were both holding the same crystal wands that Aree had used last time. They then took turns holding the wand over one particular chakra and making slight groaning sounds in the process. I kept trying to ask what was going on but they both kept putting the palms of their hands over my face as to say “be quiet.” They spoke some words of their language back and forth to one another and tried again a few more times. Suddenly there was an energetic or pressure change in the room. Both of the Anshar Priestesses turned and looked above my head and smiled. I lifted my head up and back to see what had appeared behind me. I then saw a tall African-looking man that reminded me of a movie I had seen of Zulu tribes in Africa. I had seen these people on several occasions and was familiar with who they were thanks to my last conversation with Micca. He referred to them as a very powerful ‘civilization of shamans’. In our local star cluster, there were over 50 human civilizations. Among the most noteworthy of those mentioned was a star system that the Draco were never able to conquer. The inhabitants had extremely advanced consciousness and were able to confuse and defeat those that would try to invade their system. This was a race of humans that had developed virtually no electricity-based technology. They had developed their spiritual abilities to a point that they could confuse the minds of their enemies and calm the minds of their allies from great distances. This group was known to all of the local star systems as they would reach out to them psychically to offer spiritual or emotional assistance or to request the small amount of trade they engaged in. A certain percentage of their population was also able to perform the feat of teleportation and began to visit other worlds. I hope to go into more details about this group and my hand full of experiences with them in the near future. This most recent experience was my first real physical interaction with one of them. Back lying on the table, I see him lean in toward me very quickly. As he did he blew a fine pale powder either out of his hand or it came straight out of his mouth, I couldn’t tell from that perspective. A cloud of pale smoke hit me right between the eyes. One of the Anshar wiped my face and eyes with a cloth. My eyes were watering and a bit blurry as I then saw the man start dancing. As my eyes cleared I could see his face. He was dancing in a large figure-8 type motion with his arms pumping around to a rhythm I couldn’t feel or hear. There was no sound other than his feet sweeping the floor along with quick and concentrated exhales. He had a warm smile on his face with eyes that were full of love. Suddenly he stomped and clapped his arms out straight toward me and I felt the entities release. I didn’t see them as they left but clearly felt it. When I looked around again it was just Aree and her sister in the room. Aree later communicated that they had watched in disappointment as I had self-inflicted this wound. She stated that during the time they were unable to reach me, because of my vibration being heavily out of alignment, that they had begun reaching out to one of my team members. She stated that this team member was going through a similar process of learning to deal with near constant downloads and dream communications and that they would continue to utilize that conduit along with a few more of my team as they become ready. She once again let me know how little time we have to manifest a positive timeline for our collective. She also brought up my 3-day visit with her people and an incident that had occurred. I will go more into detail about the incident in the future. Aree had me do some energetic work with another of her human trainee’s from the surface. It was in a group setting and ended up being quite embarrassing for me. The process served its purpose and it was revealed to me that my energy meridians were out of balance because of the encounters I had with higher density (Consciousness) beings. The higher chakras were buzzing with high energy while my lower chakras had a much lower vibration than they should. I was told that I had not dealt with certain specific traumas from my past that were not only keeping me out of balance but were also acting as anchors and doorways to some of these entity attachments. I was told that if I made progress on working on that Karma, I would be invited back in August 2018 for a 30-day immersive stay with the Anshar. I had clearly done the opposite of what they had requested and I was informed that the offer had been rescinded until I had done the work. Aree was very familiar with these traumas from the ‘mind meld’ she had done with me prior. That ‘merging’ caused a major boost to my consciousness and allowed me to make a lot of very positive changes. What I didn’t know was that this merging had a negative effect both on Aree and the Anshar collective consciousness. She had to deal with 3rd density feelings of insecurity as well as confusion within her personal relationships which were much different among the Anshar. It took some time for them to integrate Aree’s experience with me. One of the Anshar elders told me that the experience was very unpleasant for them but did give them a base of reference and a bit more perspective to understand us even more. I was sent back home to begin doing the work and to work through the sick feeling in my stomach that I had really screwed up. Almost immediately after this experience, I was contacted by a couple of my regular Earth Alliance contacts. They were upset with me and were asking why I never delivered a message to another asset. Typically I am asked to inform a mutual contact that a debriefing is needed or if they need to participate in a meeting or group communication. While I was going through the side effects of the steroid they had apparently given me what seemed like a mundane task that I had done prior. While I usually reacted within 18 hours of such a request, In my frazzled state, I had totally blown it off and furthermore didn’t even recall the request when I was asked about it. These contacts seemed overly upset for the situation and behaved in a way that was strange and sent up warning flags. They were also pumping me for information about one of my team members in an odd way. Weeks later, one of the major contacts that I used to converse with on a regular basis contacted me and told me that both people I had been asked to deliver information for had been taken in for questioning for suspicion of being compromised. I found out that I had inadvertently avoided a setup. I was being put in a position that would not have turned out well for me or those I care for at all! It was these same two contacts that had arranged for me to have documents about advanced technology ‘authenticated.’ What they had actually done is set up a situation where I could bring the documents out into the open for the ‘authenticator’ to steal at gunpoint. This led to later briefing where I was told that there were some pretty significant setbacks for the Alliance in recent weeks. The alliance had been infiltrated and a tactic was used to make none of the Alliance cells trust one another. I was told that this was pretty effective as the trust between the Alliance was tentative at best. They set up a situation where vital and trusted relationships were put into question from the use of clever psychological operations (psy-ops). A few Alliance Cells who fell for this tactic resorted to framing members of other cells via high and low tech means. This lack of trust between cells caused an almost complete breakdown in operational information being communicated to the those in the field. 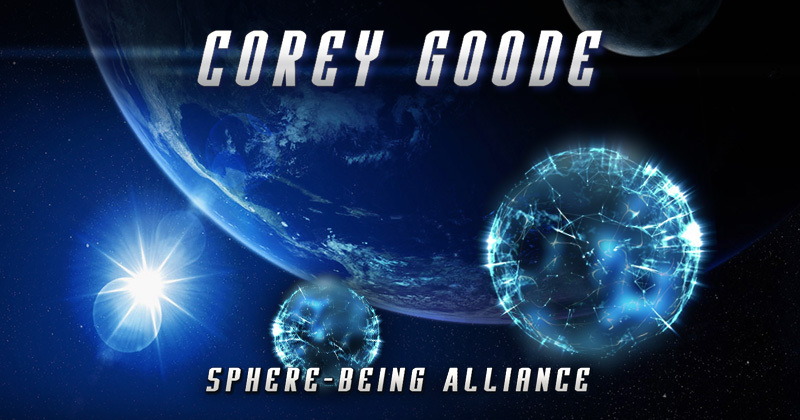 I was further told that the Earth Alliance had fully agreed to push the MIC (military industrial complex) Secret Space Program partial disclosure narrative. The Alliance was now going to ‘pull out all stops’ in ramping up the hype to the US Space Force as well as arrange more and more public ‘sightings’ of triangular craft belonging to the MIC leading up to 2020. I was told that they are going to boldly push the MIC SSP partial disclosure narrative and to also try many of the Cabal for unrelated crimes or in private by military courts. I had been told for months that the military courts had been ‘warming up’ and had been in contact with key State Attorney Generals and District Attorneys to coordinate cooperative action. This means that any solid narrative that supports a full disclosure will be minimized and discredited by people that once were our allies. The agreement to try many of the cabal in secret military courts has many of the other alliance groups up in arms as well. When I objected to what I was hearing I was told that the technology they plan to disclose over the next 10 – 20 years will change the world and that the population was already traumatized enough. Since then a battle of sorts has broken out within the Earth Alliance in disagreement on these and a few other points. It turns out the Alliance leadership had made some agreements without going through the normal chain of decision making. This has certain key members of the alliance feeling a bit less trusting of the leadership. With the loss of my immediate alliance contacts and the conflict in the ranks, I have been pretty much blocked from any and all future high-level briefings. I occasionally get a broad stroke summary but only after asking for it. On top of everything else going on, this was very disheartening, to say the least. Since then I have wondered if what used to be ‘friendly assets’ would turn on the FDP movement as well. My team and I have since focused on a number of projects that are finally starting to see the light of day. Roger Richards recently completed his first movie, ‘Above Majestic’ which will be available on Halloween 2018. It will be distributed worldwide by The Orchard on iTunes, Xbox, Amazon Prime, VUDU and Google Play. We are also finishing up the Graphic Novel that hundreds of people have preordered that will be available at the end of October. The pre-release success of this Graphic Novel caught even us off guard! We will be throwing a red-carpet Majestic Masquerade in Boulder, Colorado on Halloween 2018 where we will be debuting both the movie and the Graphic Novel. Not only that, but we are launching a campaign to bring a ton of rich content related to disclosure out into the public sector. In conjunction with the launch of 'Above Majestic' and the Graphic Novel, stay tuned for ways to get involved with the event even if you aren’t in Boulder, Colorado. In the upcoming months, be on the lookout for way more from Full Disclosure Project. We are going to be releasing documentaries on topics across the board, from the cabal takedown to the global spiritual awakening. The team is growing and our collective voices are coming together to produce incredible creative projects. We should have much more on this in the very near future. The goal of these projects is to not only bring the SSP and disclosure topics mainstream but to also raise the consciousness of the audience. We hope this develops into a movement of newly awakened people who then demand the release of suppressed technologies. We are seeing a great awakening occurring right now in the general population. If we can create media that aids in the awakening process we will not only have a mass effect on the world but also this community. What if someone watched 'Above Majestic' and then later went to see a feature film or series about the SSP where the person the show is based on claims that his story of Aliens and Break Away Civilizations are true? You would then have potentially millions of people Google that name and find their way to my information on other platforms. They then branch out as they see the information that others in this industry have been trying to get to the public for decades! If we find ways to bring accurate info from Ufology and the Esoteric communities to the mainstream, both communities will receive a sudden expansion in interest from the types of people they have wanted to reach their whole careers. If this happens it will be the biggest test this community has ever had. It turns out that we do not need new religions or belief systems any longer to expand or manicure the consciousness of the masses. We now have the opportunity to take the media that has been used for negative propaganda and use that powerful tool to free minds and expand our collective consciousness. It is only after we awaken, expand our consciousness and then demand the release of suppressed technologies that we will truly experience freedom.